Jabodetabek has developed from the small and separated city regions into a larger and unified megacity. This area consists of Jakarta as the core city and its surrounding areas namely Bogor, Depok, Tangerang and Bekasi. Recently Jabodetabek has become the largest megacity in Indonesia and plays the most important role within social, economic and political aspects. However, lack of planning capacity to deal with growing complexity in managing this area should be seriously remarked. 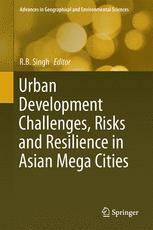 The objective of this paper is to describe the dynamics of Jabodetabek starting from the early city development toward the future megacity development. It is divided into three sections comprising planning and development history; recent status of social-economic and physical-environmental situation; and future challenges that should be anticipated to achieve sustainable development. Obviously, planning and development strategy need to be transformed into adaptive, inclusive and integrated approaches within a continues incremental process to reach the development vision.